This is the quintessential vegan white cake icing. You can add dyes to color it or keep it white. You can even flavor it anyway you like, as long as the flavoring is clear. 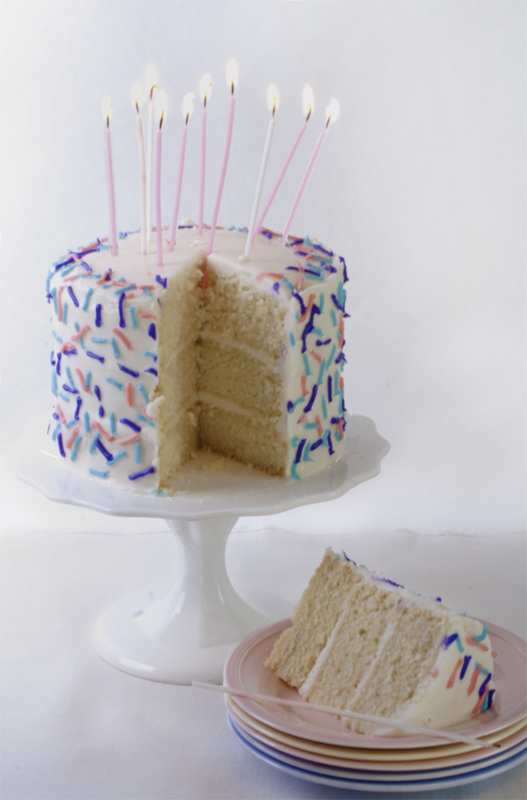 Use it with my vegan white cake recipe to make the perfect vegan birthday cake. Want to know what others thought about this recipe? Would you like to comment on this recipe? Go to the White Vegan Cake Icing blog entry. Place all of the ingredients into a mixing bowl except for the almond milk. Start by adding the almond milk a little at a time. First add 2 tablespoons and mix with an electric mixer. Check the consistency of the icing. It should be thin enough to spread but thick enough to keep it's shape. To check this, move a knife through the icing and see if the pattern stays put. If the icing needs more almond milk keep adding it by the teaspoon. If you accidentally add too much, add more confectioner's sugar. 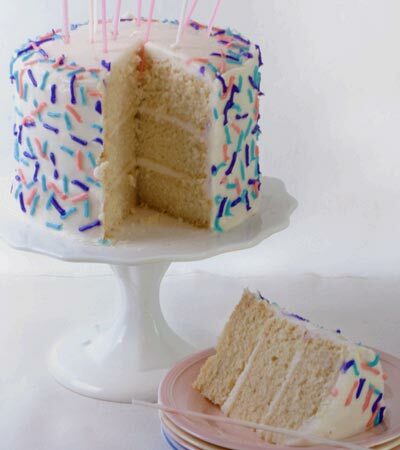 Also, keep in mind if you are going to add food coloring, it will thin the icing as well. So a thicker icing is needed to absorb the liquid in the dyes.